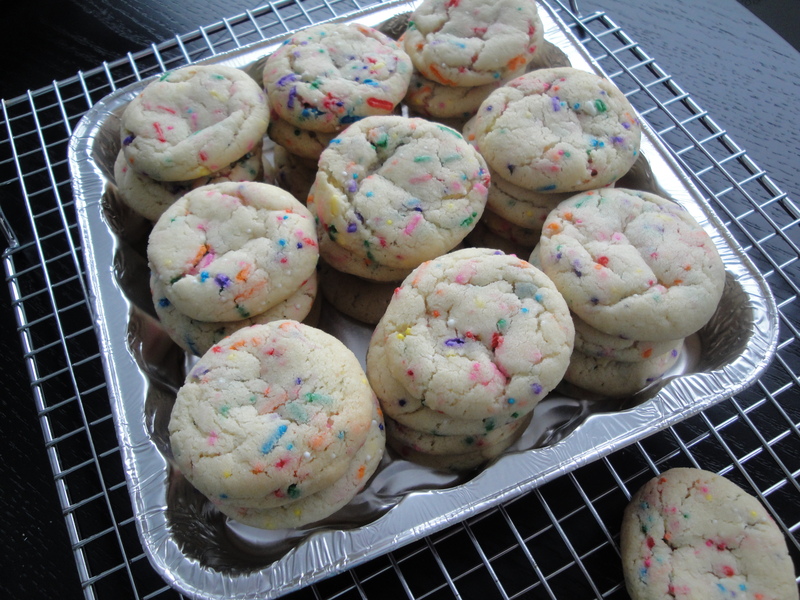 The result are these colorful, chewy, perfect little cookies. 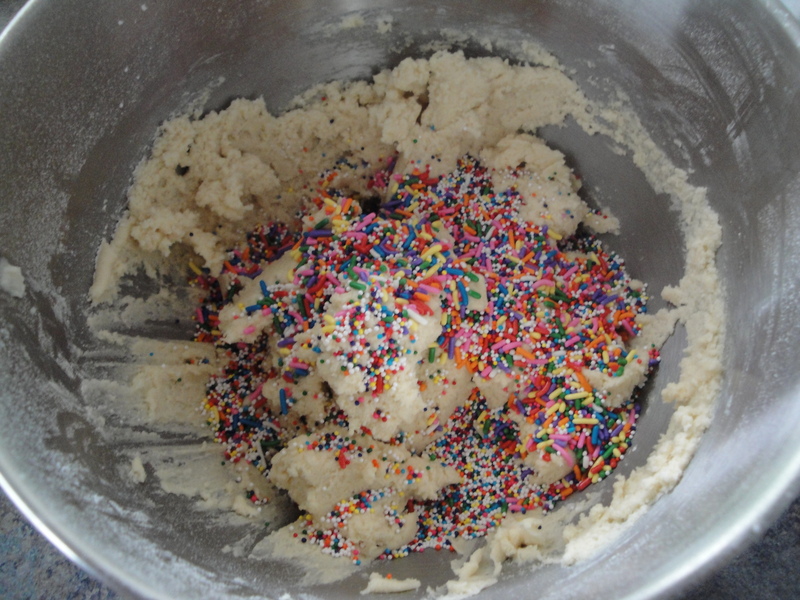 A basic sugar cookie dough with both vanilla and almond highlights is made fantastic with the addition of both rainbow sprinkles and nonpareils. These cookies didn’t last long at the office and it was everything I could do to keep my paws off of them before I set them out for everyone to enjoy. 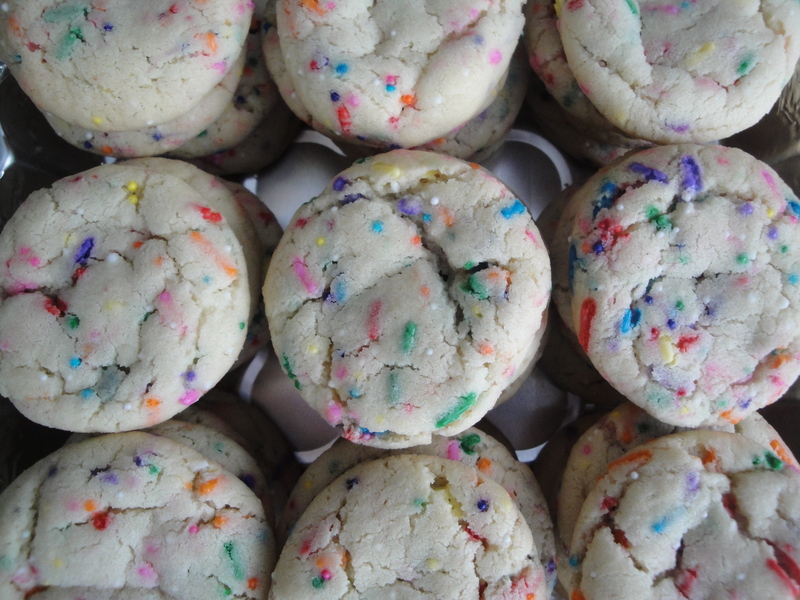 You don’t have to be a kid to like funfetti, ask my co-workers. It looks like I’m going to have to make these again. Good thing there are more sprinkles left. Preheat the oven to 375ºF. Cream the butter and sugar until fluffy. 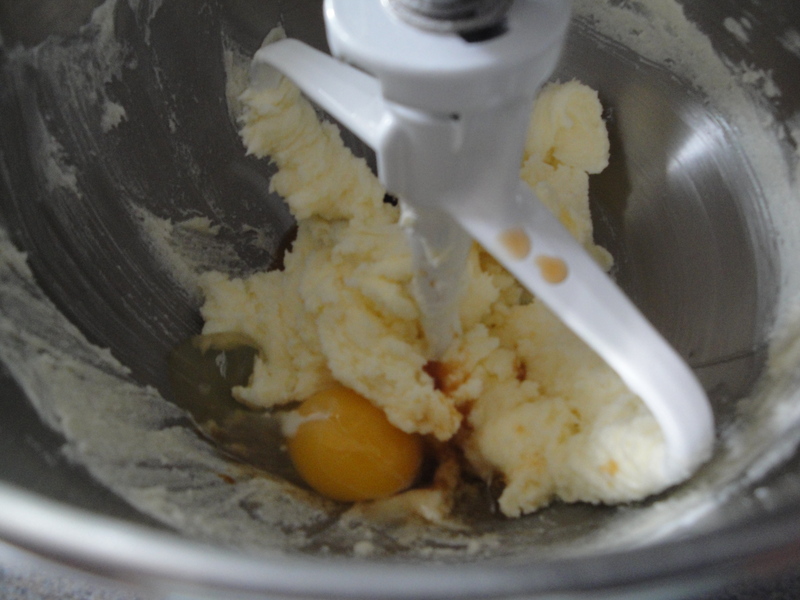 Add the vanilla, almond extract, and egg. Beat until well combined. 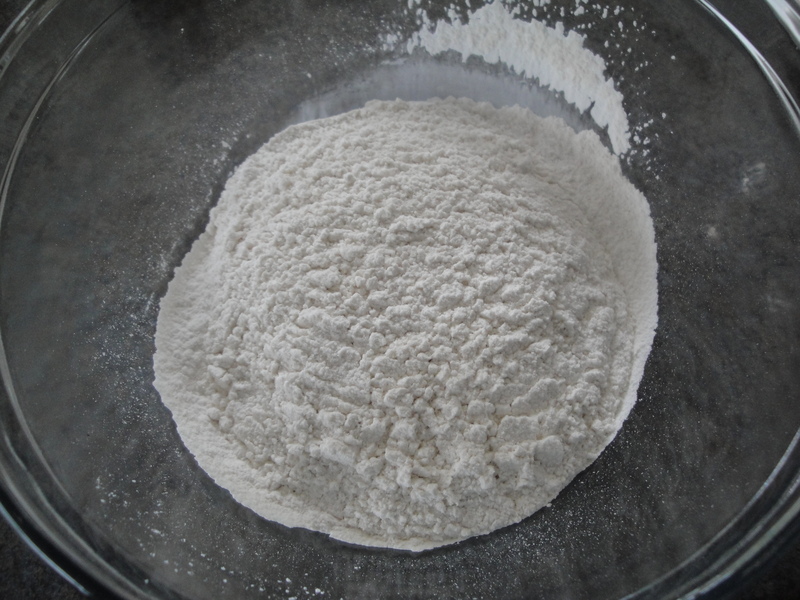 In a separate bowl, sift in the flour, cornstarch, baking soda, and salt. 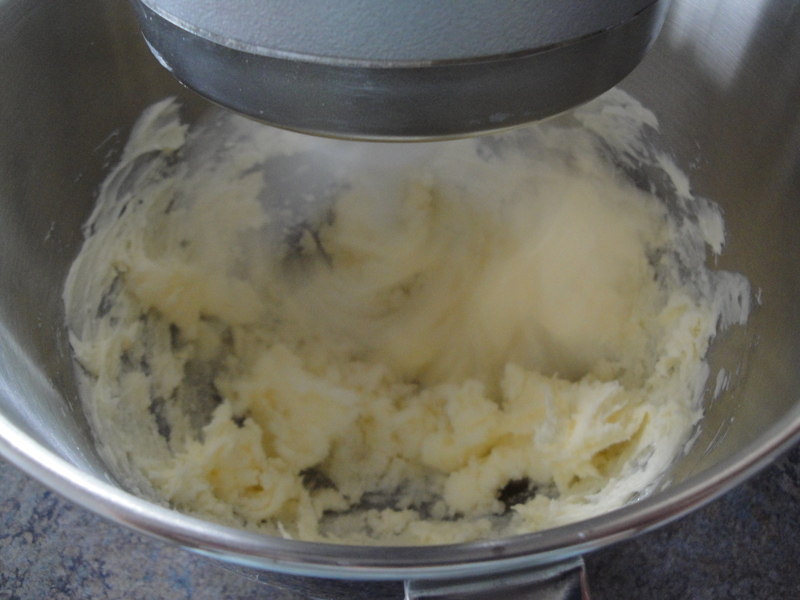 Slowly add the flour mixture to the butter mixture, and continue on low speed until it’s all added and combined. 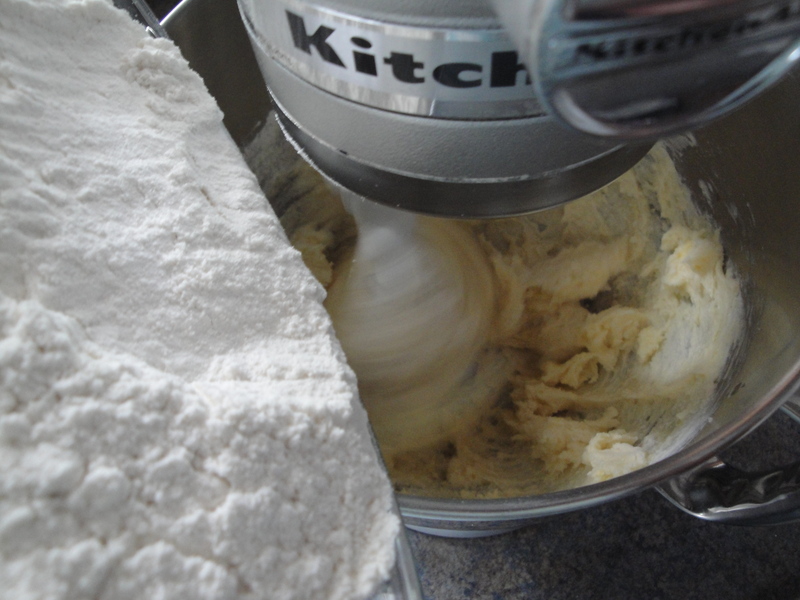 (The dough will be thick). 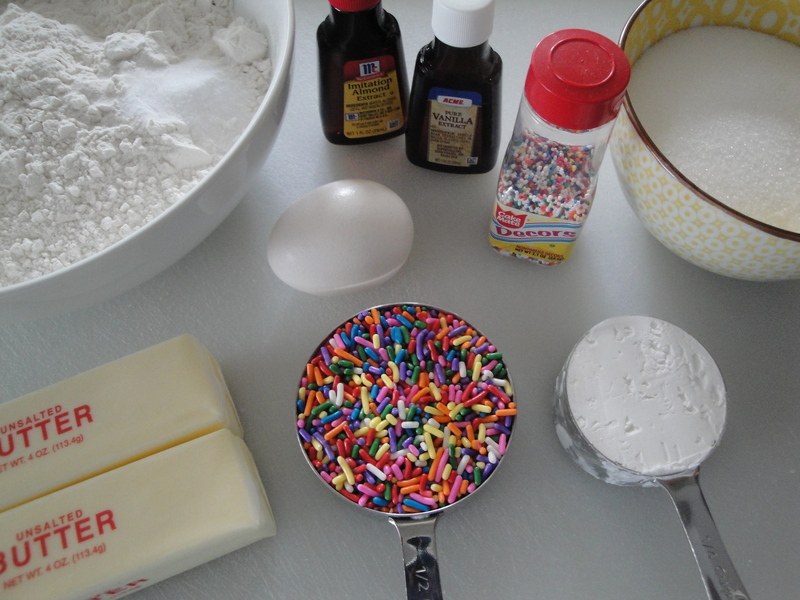 Mix in the sprinkles until just combined. 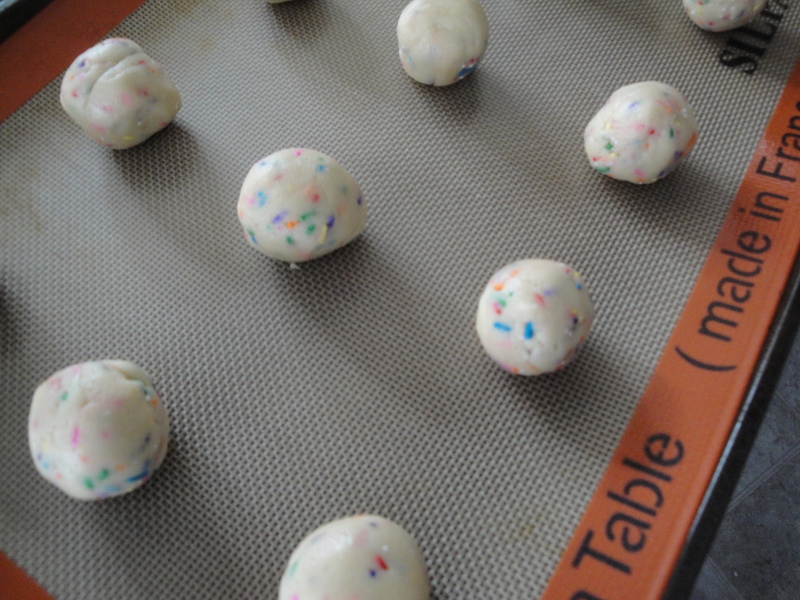 Roll the dough into equal sized balls and place on a cookie sheet. Bake for 12 minutes in a 375ºF oven.